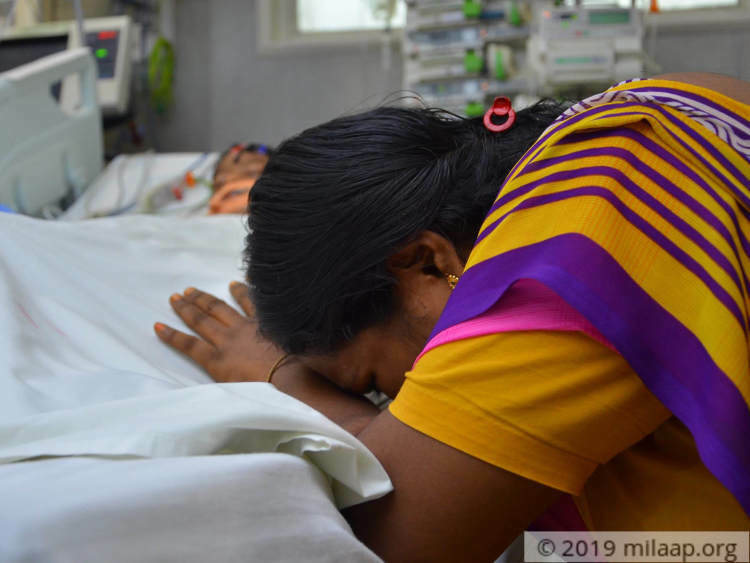 “On the way to the hospital, he asked me, ‘Amma, will they give me injection? 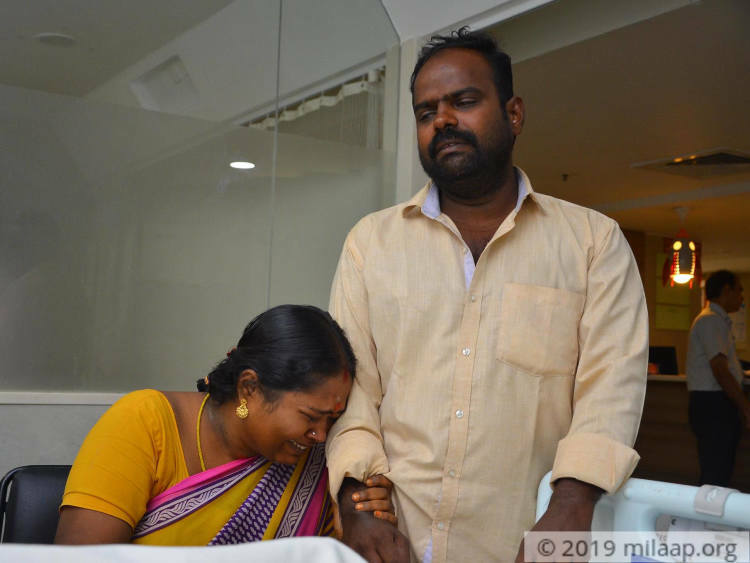 I don’t want injection, tell then I am a good boy, Amma.’ Within minutes after we reached, he fainted and completely lost consciousness. 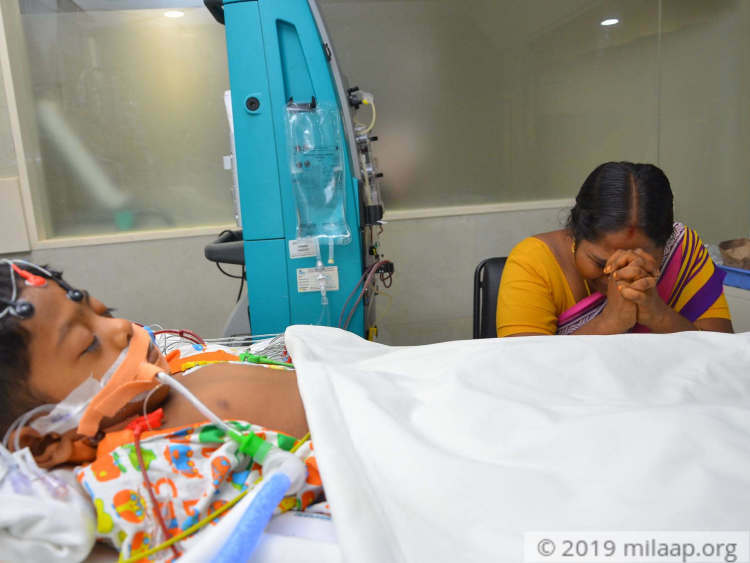 And now he is on ventilator support, fighting for his life,”-Devashree, mother of 3-year-old Radhesh. 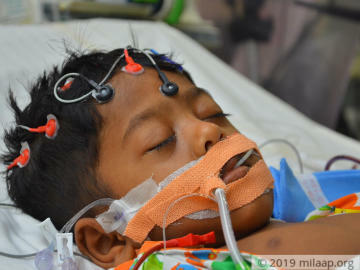 Little Radhesh’s liver is 100% damaged and it is shutting down all his other vital organs one by one. Medicines cannot sustain his life for much long; a liver transplant is the only way that he can survive. But his poor parents, who are completely caught off-guard by this emergency situation, cannot arrange such a huge amount on time and need your help. Radhesh is a bright toddler who will talk your ears off about everything – from his favorite toy to the puppy next door. His parents could never keep up with his energy levels. He loved the company of other children his age and was in fact looking forward to joining a play school in a couple of days. But two days back, he got a fever that didn’t get better with medicines. His parents rushed him to the hospital, where he lost consciousness and was taken straight to the ICU. “He used to eat nutritious food and sleep well. He never even used to get fevers or cold frequently. How can this happen to him? Why didn’t God give us a sign that something horrible was going to happen to our poor child?”-Devashree, mother. 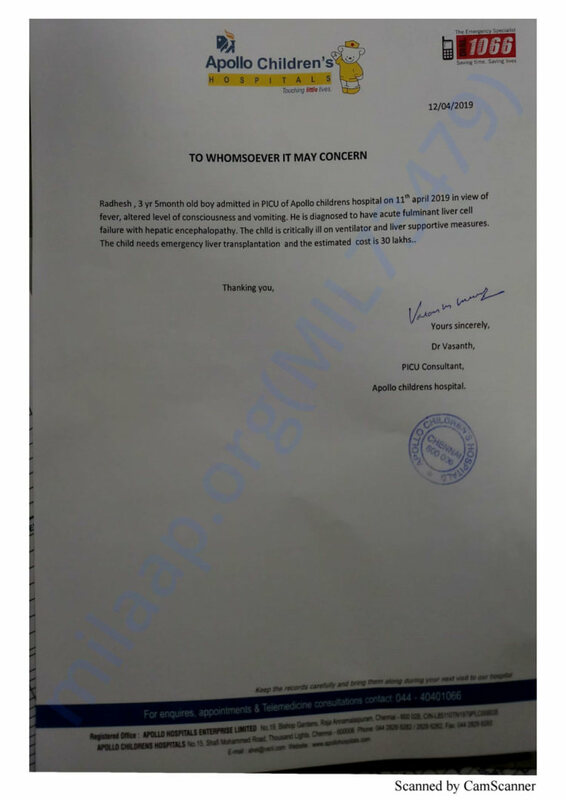 Now, Radhesh’s condition is so bad that he needs 24/7 monitoring and high doses of antibiotics to stay alive. A dozen tubes run all over his body, right from his face to his legs. Even a small infection can turn deadly for him, and therefore visitors are not allowed to meet him for long. His parents spend hours watching him from the ICU window. Varadaraj works in a private transport company in Chennai. His earnings are just about enough to feed his family, pay the rent, get utilities and groceries for a month. He has never had the opportunity to save much so far. Now, his son is battling for life and he regrets not saving up for emergencies. Worst of all, he does not even have relatives he can call for urgent help. 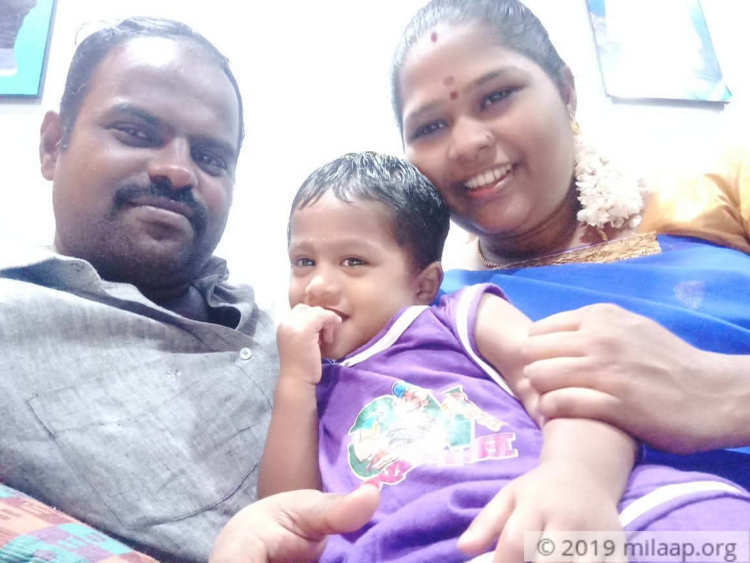 He is all alone and needs our help to afford his son's transplant that would cost him 30 lakhs. “My son needs a liver transplant soon or he will not survive. 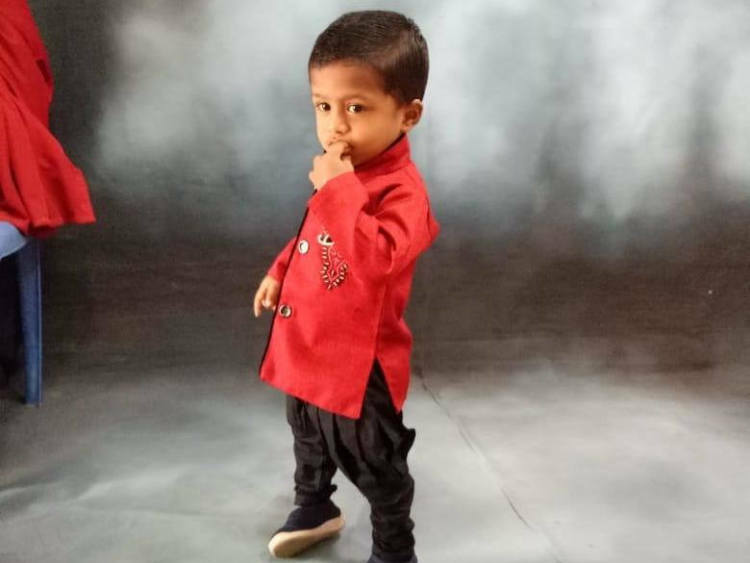 His maternal uncle is a matched donor who has agreed to give a piece of his liver to save him, but we don’t have the money to go ahead with it. 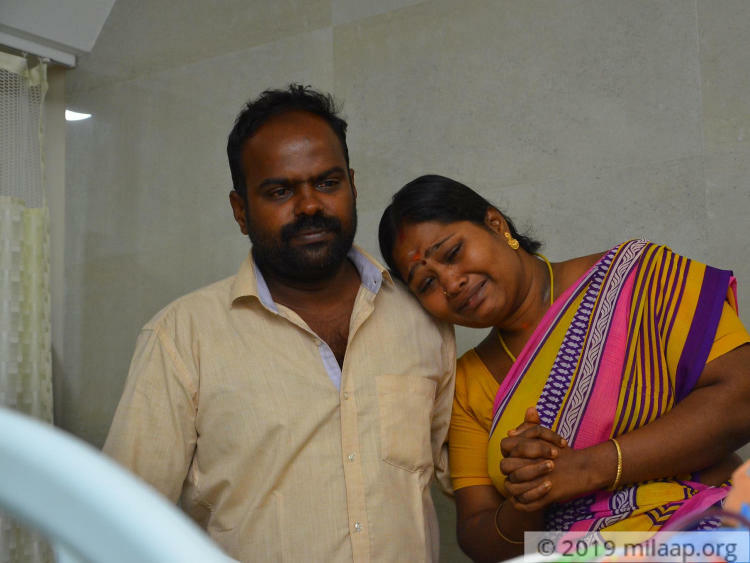 Without urgent help, my poor son will die,”-Varadaraj, tearfully. His faulty liver is shutting down his system slowly. Without a transplant, he cannot survive.